A new U-Boot wreck ! 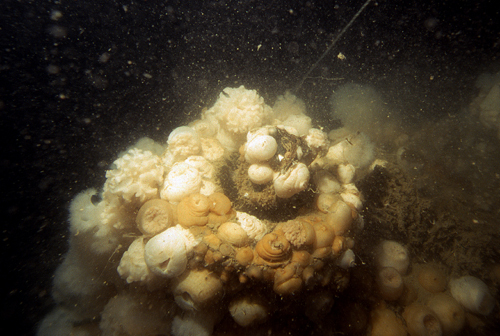 On Sunday, July 20, l'Expedition Scyllias team dived off Penmarc'h - just 3 nautical miles from Saint-Guénolé - on the wreck of a World War one German submarine ! 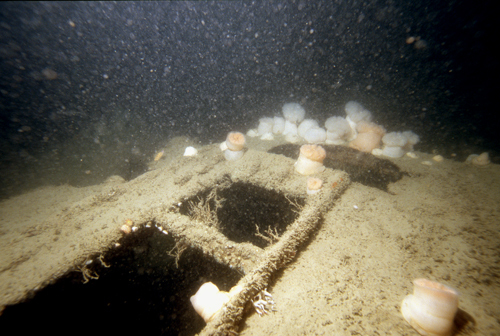 The wreck rests by -85 m depth and is in a pretty good state. In a water highly charged with particles, especially dark due to the depth, and in the presence of streams, Brittany explorers have discovered a large and unidentified U-Boot, topped by nets here and there, such as a metalic Leviathan lying for eternity. Divers have noted the presence of a big gun on the foredeck (perhaps 10.5 cm) and a smaller one on the rear deck (perhaps 8.8 cm). An access hatch at the top of the conning tower remains open and suggests that, when the submarine sank, crewmembers tried to escape. 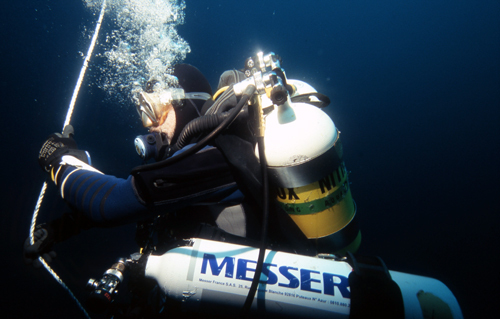 Diving, lasting almost an hour counting the long deco stops, required the use of gas mixtures (nitrox and trimix), pure oxygen and also a suitable material. 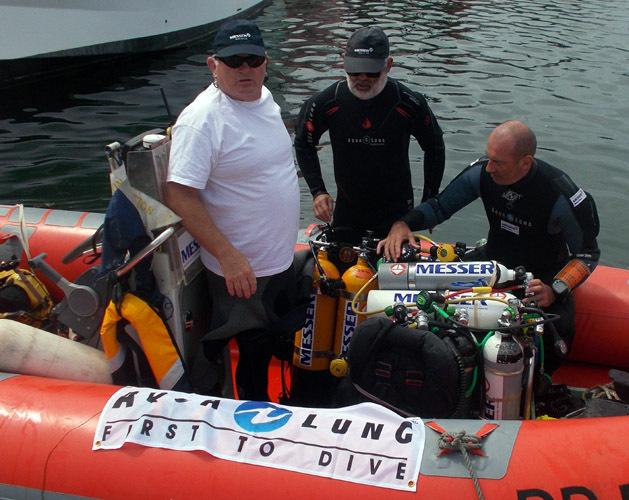 To do this, the team received, as usual, the support of the German gas company Messer and the French manufacturer Aqua Lung, the world leader in diving equipment. On the left : the foredeck. On the right : retracted into its housing, one of the periscopes is covered by a colony of beautiful sea pink. Several U-Boote operating in that sector are never returned to Germany and are lost with all hands to yet unknown positions, their destiny being only assumptions. The information collected in situ during this first and difficult exploration dive were sent to Shom as well as Yves Dufeil, U-Boote of the Kaiserliche Marine specialist (www.histomar.net). At this stage of researches, it appears that several submarines are likely to match the wreck located. Naturally discrete, submarines sometimes disappear without a trace, victims of damages, accidents or human errors, leaving over time empty pages in the ledger of the sea that l'Expedition Scyllias team members regularly succeed in filling for the greatest happiness of contemporary maritime history, sunken mysteries and human epic enthusiasts. 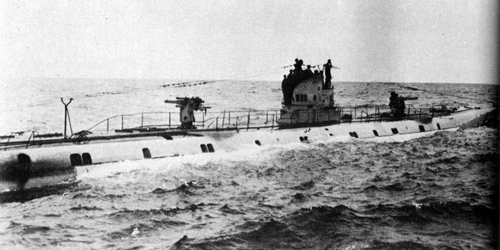 The wreck was referenced into the Shom database since 1954 and identified as a submarine. " We are often told submarines when in fact there is only on-site a steamer or a trawler " notes Jean-Louis Maurette. Sixty years later " a fisherman from Le Guilvinec, Mick Quiniou, shared confidences regarding this wreckpoint and gave us a more accurate position than the Shom's one so that we could led a reconnaissance dive ". Identifying this unknown submarine is a real challenge, both technical and human, because of difficulties access due to the depth and the conditions encountered on the site. This action nevertheless fits well with this year's centenary of the outbreak of the Great War ! An action which also worthy challenges sponsors and patrons. 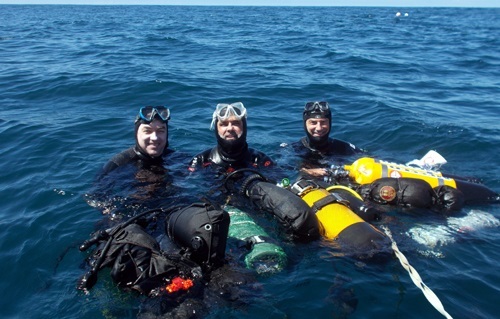 On the left : the team after the dive : Jacques Hellec, Vincent Gautron and Jean-Louis Maurette. On the right : Vincent Gautron at the deco stop. On the left : Alain Le Garo, Vincent Gautron and Jean-Louis Maurette. On the right : Vincent Gautron and Mick Quiniou.